Over 750 out of 1,500 workforce involved in the bridge construction work are locals. 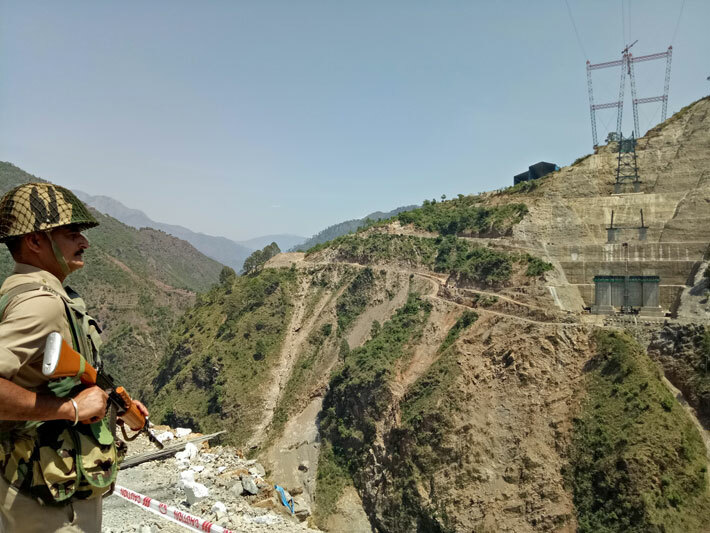 Three years ago Ashwani Kumar Sharma, who hails from Kauri block in Jammu and Kashmir’s Reasi district, was finding it difficult to run a family of five as he was unemployed. Little did he imagine that one day he would land a job with the Indian Railways as a civil supervisor. Employment has always been a major concern for people living in Reasi district which is around 25 km from Katra. Agriculture is the primary occupation of the people in this hilly region. “I had lost all hopes of getting a job and whatever job I was doing, it was not enough to make ends meet. Despite having adequate education, it was hard to get a respectable job in Reasi which forced many people to leave J&K and work somewhere else in the country,” said Sharma. Sharma came to know about the railways’ mega project -- a rail bridge construction over river Chenab. After meeting some construction engineers at the site, Sharma got a job and started working as civil supervisor. The remuneration was handsome. Sharma told Governance Now that many locals have got the jobs here and railways’ mega project has brought prosperity to hundreds of families. 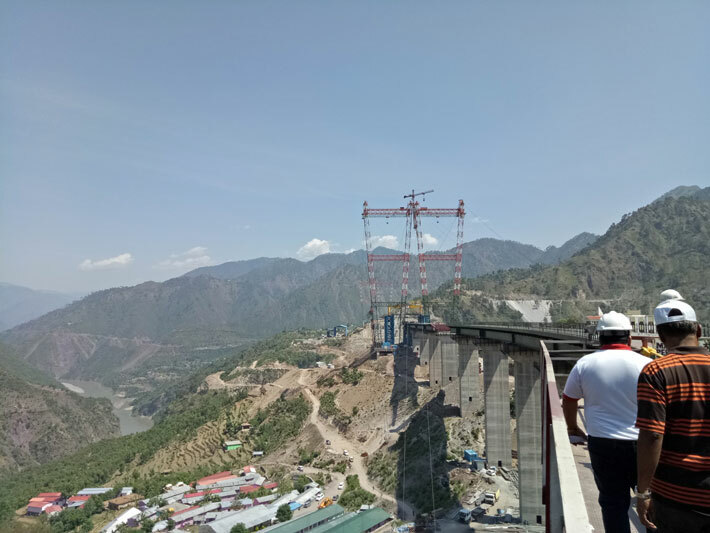 The world’s highest rail bridge of 359 metres height from the riverbed on Chenab river is being built by Indian Railways. It is 35 metres taller than the Eifel Tower in Paris. The bridge has been under construction since 2005. 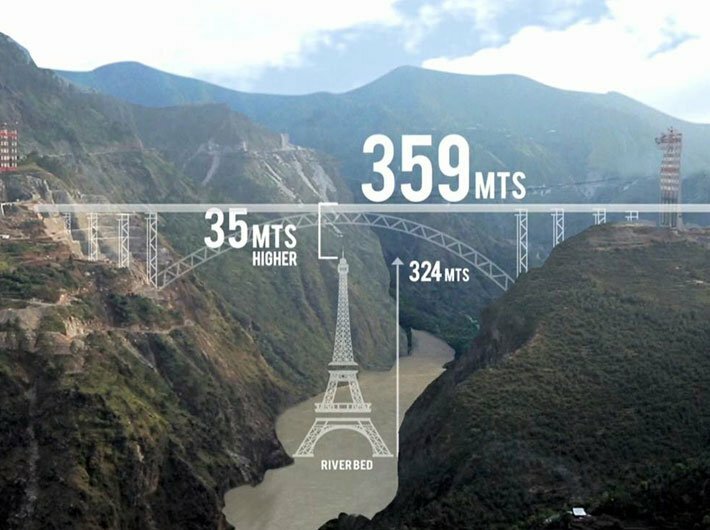 The second and third highest railway arch bridges are Najiehe Railway bridge, having height of 310 metre at Liuchangxiang, Guizhou, China and Bejpan River Shuibai railway bridge of 275 metre height at Liupanshui, Guizhou, China respectively. Sharma is not the only person who has benefited. Hundreds of locals have been gainfully employed. Currently, the railways has got a manpower of over 1,500 to build this bridge, which includes 50 percent locals. An official said over 750 people are from nearby villages associated with private construction companies were roped in by railways. Sajad Ahmed, a B Tech, also from Reasi district, said that he never thought he would get training opportunity in J&K. He said that he has been working as a trainee for the past one month and has been assigned to look after engineering related works for a period of three months. Sajad may be offered a job once he completes his training here. “Getting an engineering degree from a strife-torn state like J&K is itself a daunting task. I had always aspired to become an engineer and studied hard to earn a degree. As soon as I got a B Tech degree, I started searching for a job and training opportunity but could not succeed for a long time. Eventually, I applied in a private construction firm of the railways and secured a job as trainee,” he said. He said that he wanted to become a role model for the youth to study hard and contribute to the nation’s progress. Sajad said that he was happy that the railways is pumping in investment to build Chenab rail bridge and create infrastructure. He expressed hope that more youth will get jobs from the railways and get a chance to become a part of this project. Bashir Ali, an experienced supervisor who hails from Arnas block of Reasi district, lauded railways for launching Chenab river project. “At a place where it is difficult to live and make ends meet, the government has come up with a project which will not only set a world record but also give massive employment to youths,” Ali said. Ali, who had joined the project in 2005, had to move to Delhi after Chenab bridge work had to be halted for a while. He worked with Delhi metro as a supervisor and faced difficulties to run his family as the national capital is an expensive city. After working for around six years in Delhi, Ali returned to his native place and resumed his job with Chenab bridge construction agency. “I felt as a dream has come true after I resumed job in Reasi with the railways. It is indeed a matter of pride being associated with the railways,” Ali said. Konkan Railway Corporation Limited along with other private construction firms built over 200 km of roads in the inaccessible region to connect surrounding villages to bring construction material and connect locals with the project. The bridge, whose design has been prepared by Finland and Germany based consultants, is 1.315 km-long and has a height of 359 metre which is 35 metre higher than the Eiffel Tower. It is being seen as an engineering marvel, said RR Mallick, deputy chief engineer of Konkan Railway. 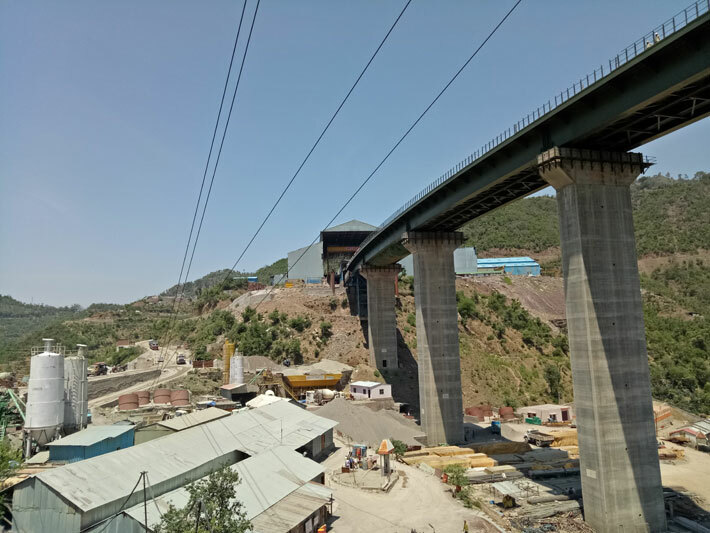 The bridge connects Bakkal (Katra, Jammu) with Kauri (Srinagar) which forms the 111- km stretch between Katra and Banihal which is part of Udhampur-Srinagar- Baramulla section of the Kashmir railway project. 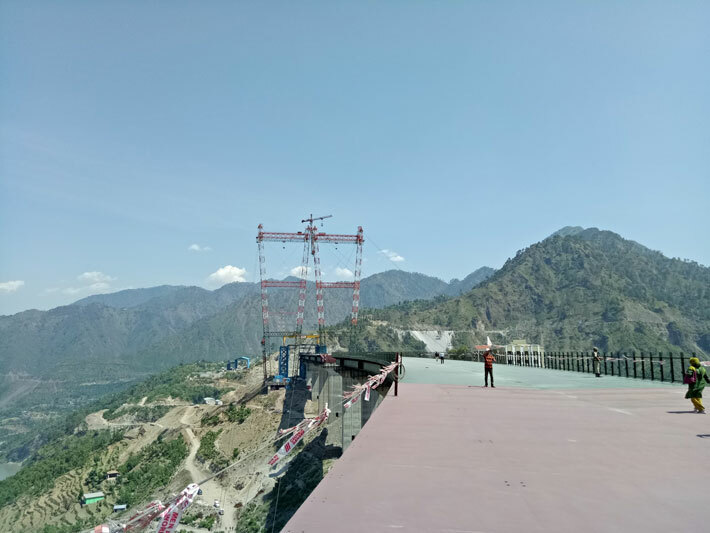 Interestingly, the world’s tallest rail bridge has been designed to withstand high level of trinitrotoluene (TNT) blasts for which the railways sought assistance from Defence Research and Development Organisation (DRDO), said Rajendra Kumar, project director, Konkan Railway. A whopping Rs 1,200 crore would be spent and over 25,000 tonnes of steel would be used to build this mega rail bridge. The bridge construction work is likely to be over by 2019. The railways has also got plans to develop this bridge as a tourist attraction destination. Officials said adventure sports activity like bungee jumping may be introduced, once it is completed.